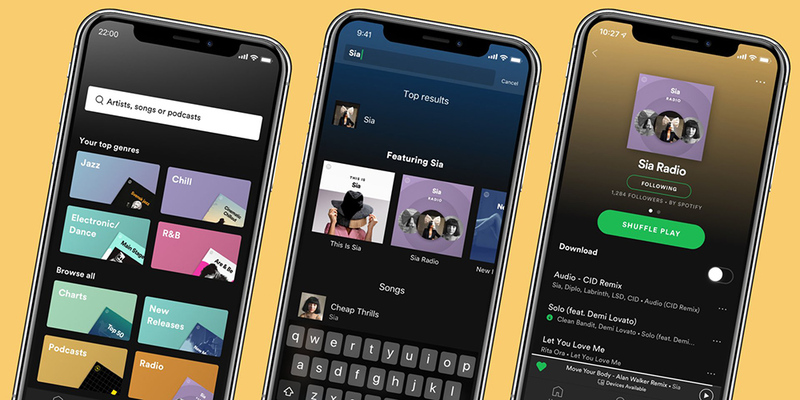 Fresh off its Wear OS app announcement, Spotify revealed new features for Spotify Premium owners today. The changes involve navigation, searching, and a new type of radio station. The new navigation is being called “refined,” as it aims to help “people quickly find what they’re looking for.” That doesn’t actually tell us much, but the video above shows the removal of “Radio” and “Browse” tabs from the nav bar at the bottom of the app. And last, Spotify has added a bunch of Artist Radio stations that only play music you like based off that artist. Wait, was this really not a thing until now? No? Weird. These new changes start rolling out to iOS and Android today.